Plural acronyms: apostrophe or no apostrophe? Plural acronyms: apostrophe or no apostrophe? Home › Grammar › Plural acronyms: apostrophe or no apostrophe? If you’re a grammar pedant like me, signs like this – or ones advertising CD’s For Sale – will most likely make your toes curl and set your teeth on edge. Yet the majority of people have become so used to seeing plural acronyms written like this that they assume it’s ‘correct’ English. Following on from my previous post on the different types of acronyms, along with their correct usage and punctuation, this post takes it one step further. The thorny question of using (or not using) an apostrophe when pluralising acronyms is one that clearly divides opinion – not only amongst my fellow wordsmiths but also amongst the public at large. Let’s look at a few popular plural acronyms, along with the arguments put forward for and against adding apostrophes. One that causes a lot of confusion is the plural of FAQ (Frequently Asked Question). Both FAQs and FAQ’s are regularly used, as any random survey of websites will show. I even saw faqs recently. Writer and editor Stan Carey tells us that although guidance on this issue is not unanimous, such apostrophes are largely unnecessary and potentially confusing. 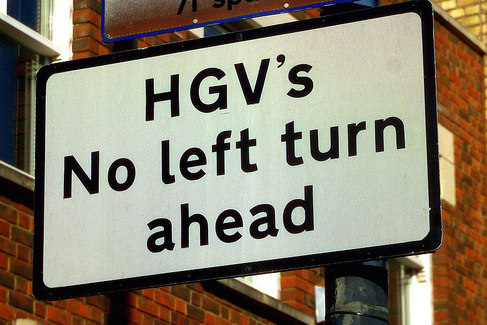 Most modern advice recommends including an apostrophe ONLY if there is a danger of misunderstanding or ambiguity. Plural acronyms without an apostrophe not only look neater but are also clearly NOT possessive nouns. However, as Grammar Monster points out, you CAN use an apostrophe to show a plural if it assists your reader. One example of this would be writing a title all in uppercase when it would be difficult to show a plural of an otherwise normal-looking acronym, e.g. CD’S ARE OBSOLETE. Without an apostrophe, CDS ARE OBSOLETE could be confusing. So far, so good, as it’s all been fairly straightforward. But what about the phrase “to mind one’s Ps and Qs”? With or without the apostrophe? Carey states that the apostrophised form is accepted with pluralised single letters. In fact, it’s sometimes recommended to avoid confusion. The abbreviation for Terms and Conditions is a tricky one. This common phrase is technically a plural one, although it’s often written in the singular: T&C. Different style guides proffer different advice on this one, making it largely a question of personal choice. However, as with many aspects of grammar, the most important thing is to be consistent. Are there any plural acronyms that make you stop and think twice before you write them? Or any common mistakes made by others that make you cringe? Do share below. * Addendum 08/12/2015: I’ve just spotted that on his own website he uses FAQ. Interesting! I was taught, and spent 27 years teaching, that not all apostrophes in plurals are incorrect. HGV’s is correct, as is CD’s, mind your p’s and q’s, being at 6’s and 7’s, achieving six grade A’s, and other similar examples. “How many i’s are there in ‘limp’?” makes sense. “How many is are there in ‘limp’?” does not. There seems to have been a move towards leaving apostrophes out of the examples I cite. It is certainly easier to leave them out. I think the best that can be said is that both are currently acceptable. The language has evolved. In the absence of an Academy to rule on this it will continue to evolve naturally. The older way will probably die out completely. What about “do’s and don’t’s” rather than “dos and don’ts” or “do’s and dont’s” ? Generally, you don’t use apostrophes to make words or abbreviations plural. Dos and don’ts is an especially unusual exception. The apostrophe in the contraction don’t seems to make people want to use an apostrophe to make do plural (do’s and don’ts), but then to be consistent, you’d also have to use an apostrophe to make don’t plural, which becomes downright ugly (do’s and don’t’s). Style guides and usage books disagree. The Chicago Manual of Style and others recommend dos and don’ts. The Associated Press and others recommend do’s and don’ts. Eats, Shoots & Leaves recommends do’s and don’t’s. For the record, I always write do’s and don’ts, for clarity, even though I know it’s grammatically incorrect. The only time I find myself using the apostrophe in these cases is when I want to say A’s, I’s or U’s at the start of a sentence, as the words As, Is and Us exist in normal conversation. I dislike misplaced apostrophes so much. But I see it everywhere; even people with PhDs use it! I always used to have a good grasp of grammar, but since being exposed to so much sloppy and incorrect usage on the Internet I suddenly find myself doubting everything I used to take for granted. I’ve been using the Scrivener word processing program recently and it just picked me up on ‘CDs’, the Spellchecker insisting that it should be ‘CD’s’. Which always prompts me to ask sarcastically, “CD’s what?”. I don’t see why on earth we should be concerned with ‘confusing’ people by using forms that are grammatically correct. Something is either wrong or right. People who don’t know the difference are ignorant, not ‘confused’ and need to be educated, not pandered to. (Now – can anyone give me a hand to get down off this soap box?). I’m so sorry Veronica but I’ve only just spotted your comment. I normally get notified by email if someone comments, but that functionality must have been switched off somehow. I’m really glad that you found the post useful. It’s interesting how often we end up picking the right usage, just by following our gut instinct. But that sometimes lets us down, which is why it’s worth knowing the rules too!